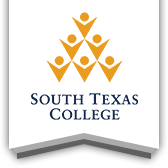 South Texas College Parking Rules and Regulations document include: Purchasing Permits, Citations, Violations, Traffic & Parking Ticket Appeals, Incidents, and Accidents. Need help finding your way around campus? View our campus maps include to find information on: Parking, Shuttle Pick Up or Drop Off, Smoking Areas, Emergency Phones, and AED Locations. JagExpress is a free shuttle service allows you to travel between the different campuses. The shuttle also available from the Park & Ride Facility to the Pecan Campus and vice versa. Do I have to obtain a permit to park on any of the STC Campuses? All faculty, staff, and students parking vehicles on STC property are required to have a parking permit permanently affixed to their vehicle or motorcycle. Please follow the steps on the Parking Permit Purchase Instructions. You need a College ID and physical address, along with payment of the parking permit fee. What if I use a different car to come to campus? Each vehicle or motorcycle requires a separate parking permit. Temporary parking permits are available for a short duration at the Site Coordinators office or at the STC Department of Public Safety. What if the citation is not paid? If the citation is not paid a hold will be placed on a student or employee record. Who may park in a handicapped space? These spaces are reserved for individuals who have been issued a valid handicap placard/license plate or disabled veteran license plate issued by the state of Texas. Who may appeal a citation? Any person who has received a College citation may file an appeal request to have the citation reviewed. How is a citation appealed? Please follow the steps on the Traffic & Parking Ticket Appeals Process. How often do I validate my permit? Upon the expiration date of the permit. When do I remove my permit from my vehicle? It is recommended that permits be removed when association with the college is terminated, when a replacement permit has been issued, or upon expiration or revocation of the permit. Other than for Fire Lane and Handicap parking infractions, a first violation will result in a warning. For a second violation, a citation will be issued in the amount of $30.00. Additional violations will result in increased fines, culminating with an immobilizer being placed on the vehicle, until the assessed fines are paid. STC provides the following levels of appeal for individuals who feel unjustly cited for traffic or parking violations or if it is believed that a citation was issued in error. All appeals must first be submitted to the Traffic and Parking Ticket Appeals Committee. Traffic and Parking Citation Appeals Committee: Appeals may be filed with the Traffic and Parking Ticket Appeals Committee via any internet enabled computer or kiosk within 15 calendar days of the violation. To file an appeal, login to JagNet at https://jagnet.southtexascollege.edu/ and select the Parking app, then the Appeals tab. If you do not have access to JagNet you may file an appeal at the STC Department of Public Safety, located at the Pecan Plaza, 2509 W. Pecan Blvd., McAllen Texas 78501. STC Traffic and Parking Awareness Examination: Upon a request to the Department of Public Safety, an individual receiving a first $30.00 citation may take an Awareness Examination in lieu of paying the fine. In addition, an individual with more than one citation may request to take the Awareness Examination to obtain 50% reduction of the fines owed. Awareness Examinations must be passed with a score of 70% and may not be requested more that once a calendar year. A form requesting the STC Traffic and Parking Awareness Examination may be obtained at the Department of Public Safety located at the Pecan Plaza, 2509 W. Pecan Blvd., McAllen Texas 78501. For more information, please call 956-872-4444.